The BBA hosts a Signature Luncheon each summer, which brings together BBA members, community business leaders and local media. The Signature Luncheon feature a keynote address by one of Buckhead’s business elite as well as the presentation of the Public Safety Awards to outstanding officers from Atlanta Police Department (Zone 2), Fulton County Sheriff’s Office and Atlanta Fire Rescue Department. Individual tickets and corporate table sponsorship's (including tickets for 10 guests) are available for the Signature Luncheon. You will also have an opportunity to showcase your business by purchasing a vendor table. The vendor tables will be open during the networking portion of the event from 11:30 - 11:50 am, and after the luncheon. Do you Maximize your Impact every time you communicate? 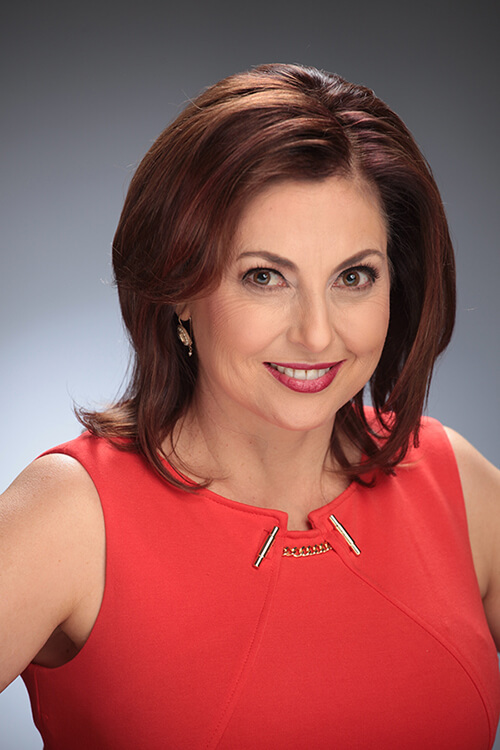 Nadia Bilchik’s Greater Impact keynotes and seminars are designed to build self-confidence and personal presence in a way that is both authentic and actionable. Her keynotes and training focus on developing the verbal and non-verbal communication skills needed to be more impactful and persuasive, whether you are giving a presentation, facing the media or networking. Nadia has been in demand as a speaker for over 25 years. She draws on her vast experience at the frontline of broadcasting to reveal the secrets of more powerful communication. She has anchored for MNET TV South Africa as well as hosted a variety of shows for CNN International and Weekend Passport on CNN. During her career she has interviewed key political figures and entertainers such as Nelson Mandela, George Clooney and Tom Hanks. Her background has given her extraordinary understanding of communication to small and large audiences both in person and on camera.